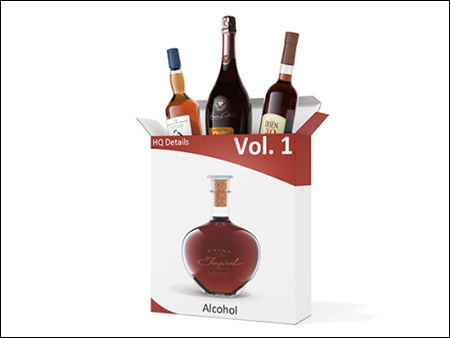 Realistic, fully detailed and textured 50 models of alcohol bottles (beer, champagne, cognac, vodka, whisky, wine) in C4D format with real world scale dimensions, ready to rendering with VRAYforC4D. Additional comes 7 glasses with liquids in it for each alcohol type. The high resolution textures in png format with alpha mask and resolution up to 2300 pixels. The accurate details of the model work perfectly for extreme close-ups.